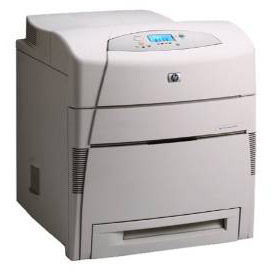 With print speeds of up to 22 pages per minute (ppm), the HP Color LaserJet 5500 is a strong office workgroup printer. This device prints on a wide array of media sizes, making any print job a quick and easy affair. No matter what industry you work in, your large, fast-paced office will appreciate the quality print work you get from this device. When it comes time to buy toner for HP Color LaserJet 5500 printers, though, things can get expensive if you stick with original equipment manufacturer (OEM) products. Sure, OEM toner is known for its clean and consistent print work, but replacing all of your cartridges with OEM HP cartridges will cost your business over $1,000 dollars! 1ink.com’s remanufactured cartridges give you the same stunning print quality, dependability, and product specs as OEM HP 645A toner cartridges for less than half the price. Our toner will not void your printer’s warranty, nor will it cause any complications or delays. You’ll simply install these cartridges just like the OEM version and get professional-quality work that’s actually within your price range.